Thomas Beck (plasmasolutions) abandoned D3969: install_deps.sh: Fix Ubuntu 18.10 compile problems. Thomas Beck (plasmasolutions) added a comment to D3969: install_deps.sh: Fix Ubuntu 18.10 compile problems. Thomas Beck (plasmasolutions) added a reviewer for D3969: install_deps.sh: Fix Ubuntu 18.10 compile problems: Bastien Montagne (mont29). Thomas Beck (plasmasolutions) created D3969: install_deps.sh: Fix Ubuntu 18.10 compile problems. Thomas Beck (plasmasolutions) updated the task description for T54643: Multi-Object-Mode: EditMesh Tools. Thomas Beck (plasmasolutions) committed rB69b95b45f4a3: Edit Mesh: multi-object support for 'Fill Holes' (authored by Thomas Beck (plasmasolutions)). Thomas Beck (plasmasolutions) added a comment to T54643: Multi-Object-Mode: EditMesh Tools. @Lee Anderson (la10) Hi Lee, great that you'd like to help! Send in patches but start from the bottom of the list as I'm currently processing all items starting from the top and don't want us to have duplicated efforts on the same item..
From now on, I'll just add an "(in process)" to the item when I'm on it, so others can see which ones are worked on. Thomas Beck (plasmasolutions) committed rB03a916e5b5ab: Edit Mesh: multi-object support for 'Symmetrize' (authored by Thomas Beck (plasmasolutions)). Thomas Beck (plasmasolutions) committed rB801270f09ddc: Edit Mesh: Correction to previous commit (authored by Thomas Beck (plasmasolutions)). Thomas Beck (plasmasolutions) committed rB0e5a4f927a8b: Edit Mesh: multi-object support for 'Make Planar Faces' (authored by Thomas Beck (plasmasolutions)). Thomas Beck (plasmasolutions) committed rB22b2bab7024c: Edit Mesh: multi-object support for 'Remove Doubles' (authored by Thomas Beck (plasmasolutions)). Thomas Beck (plasmasolutions) committed rB5b45d32f3a4d: Edit Mesh: multi-object support for 'Decimate Geometry' (authored by Thomas Beck (plasmasolutions)). Thomas Beck (plasmasolutions) committed rB7c415e6fd7b4: Edit Mesh: multi-object support for 'Vertices Only' extrusion (Alt+E) (authored by Thomas Beck (plasmasolutions)). Thomas Beck (plasmasolutions) committed rB07774d48605f: Edit Mesh: multi-object support for 'Individual Faces' extrusion (Alt+E) (authored by Thomas Beck (plasmasolutions)). Thomas Beck (plasmasolutions) committed rBd8f70a26fdce: Edit Mesh: multi-object support for 'Edges Only' extrusion' (authored by Thomas Beck (plasmasolutions)). Thomas Beck (plasmasolutions) committed rB1ade0710529d: Edit Mesh: multi-object duplicate_move support (authored by Thomas Beck (plasmasolutions)). Thomas Beck (plasmasolutions) committed rBc647c93f6305: build_deps: Disable building docs for OIIO (authored by Thomas Beck (plasmasolutions)). 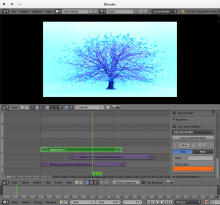 Thomas Beck (plasmasolutions) added a comment to T52684: Compositing Nodes from 2.79 break when file opened in 2.78. Ah damn, @Brecht Van Lommel (brecht) was faster - ok if that's intended then we should definitely add that to the release logs! 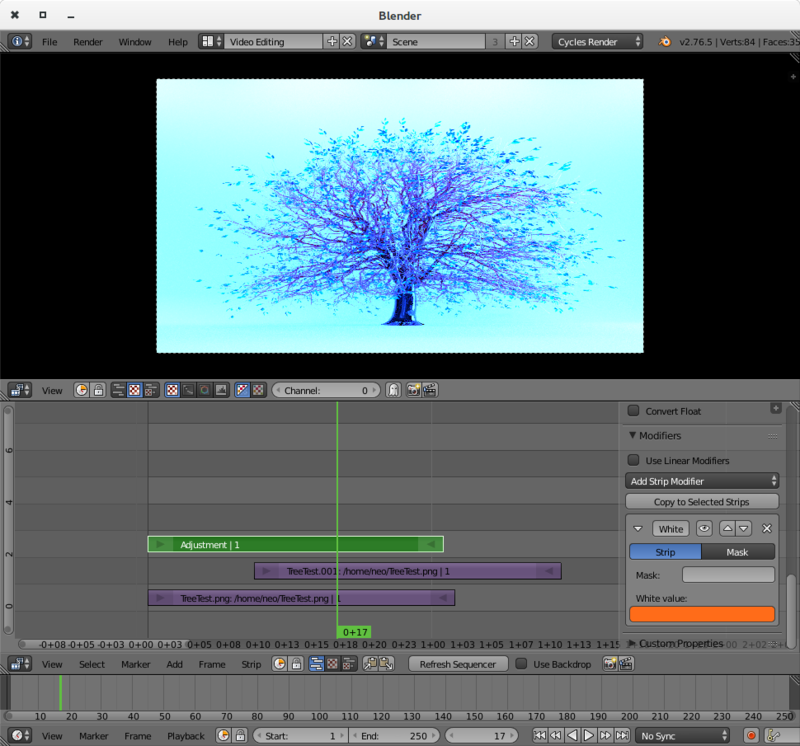 Thomas Beck (plasmasolutions) triaged T52684: Compositing Nodes from 2.79 break when file opened in 2.78 as Unbreak Now! priority. I can confirm this, tested it with 2.78a and it shows exactly the behavior @Relja Trajković (Relja) is describing. Thomas Beck (plasmasolutions) updated the task description for T52684: Compositing Nodes from 2.79 break when file opened in 2.78. Thomas Beck (plasmasolutions) edited projects for T52614: Blender 2.8 crashes when importing any Alembic file, added: BF Blender: 2.8; removed BF Blender. Thomas Beck (plasmasolutions) added a comment to T52350: Material Libary VX Issues. Just a heads up, I just fixed this point: "Right click at one of the materials. You will get a search for an unknown menu type WM_MT_button_context warning." Thomas Beck (plasmasolutions) committed rB980a8646d8d3: Fix T52466: Silence search for button_context menu type. (authored by Thomas Beck (plasmasolutions)). Fix T52466: Silence search for button_context menu type. Thomas Beck (plasmasolutions) closed T52466: Continuous error in the terminal when right clicking on buttons as Resolved by committing rB980a8646d8d3: Fix T52466: Silence search for button_context menu type..
Thomas Beck (plasmasolutions) triaged T52466: Continuous error in the terminal when right clicking on buttons as Confirmed, Medium priority. Thomas Beck (plasmasolutions) claimed T52466: Continuous error in the terminal when right clicking on buttons. Thomas Beck (plasmasolutions) closed T52081: bug on the render street plugin as Invalid. Thomas Beck (plasmasolutions) committed rB09bf3b176469: Eevee: Show the metadata and output panel when eevee is selected as a render… (authored by Thomas Beck (plasmasolutions)). Thomas Beck (plasmasolutions) committed rBd2902660493d: Eevee: Add dimension panel to eevee (authored by Thomas Beck (plasmasolutions)). Thomas Beck (plasmasolutions) committed rBf158a206f2dd: Fix T51840: UI redraw in node editor header missing on pointcache bake (authored by Thomas Beck (plasmasolutions)). Thomas Beck (plasmasolutions) closed T51840: UI redraw in node editor header missing on pointcache bake as Resolved by committing rBf158a206f2dd: Fix T51840: UI redraw in node editor header missing on pointcache bake. Thomas Beck (plasmasolutions) claimed T51840: UI redraw in node editor header missing on pointcache bake. Thomas Beck (plasmasolutions) created T51840: UI redraw in node editor header missing on pointcache bake. Thomas Beck (plasmasolutions) added a comment to T51774: Children particles hair interpolation not correct with textures or dp. @ronan ducluzeau (zeauro) Look at what I wrote under "Notice" - can confirm that. Thomas Beck (plasmasolutions) created T51776: UI: Cycling through entries of combo boxes does not refresh entries correctly. Thomas Beck (plasmasolutions) assigned T51774: Children particles hair interpolation not correct with textures or dp to Bastien Montagne (mont29). Thomas Beck (plasmasolutions) created T51774: Children particles hair interpolation not correct with textures or dp. Thomas Beck (plasmasolutions) committed rBea147e9a28dc: UI: Make GP "Add Blank Frame" operator name and description fit its behavior. (authored by Thomas Beck (plasmasolutions)). UI: Make GP "Add Blank Frame" operator name and description fit its behavior. Thomas Beck (plasmasolutions) committed rB894513c7fd56: Fix (unreported): Crash if a right click is performed on an image datablock… (authored by Thomas Beck (plasmasolutions)). Thomas Beck (plasmasolutions) committed rBd6963630dc64: Implementation of custom python entries in all right click menus (authored by Thomas Beck (plasmasolutions)). Thomas Beck (plasmasolutions) closed D2612: Implementation of custom python entries in all right click menus by committing rBd6963630dc64: Implementation of custom python entries in all right click menus. Thomas Beck (plasmasolutions) updated the diff for D2612: Implementation of custom python entries in all right click menus. Documentation for the feature and a last comment on indices like Campbell proposed... going to commit that now. Thomas Beck (plasmasolutions) committed rBda82f6542460: CMake: Fix CMake for non Apple systems (authored by Thomas Beck (plasmasolutions)). Thomas Beck (plasmasolutions) added a comment to D2612: Implementation of custom python entries in all right click menus. So how does that work when multiple add-ons want to add such a custom menu item? Thomas Beck (plasmasolutions) added inline comments to D2612: Implementation of custom python entries in all right click menus. Thomas Beck (plasmasolutions) updated subscribers of D2612: Implementation of custom python entries in all right click menus. @Bastien Montagne (mont29) @Sybren A. Stüvel (sybren) Would be great if you could give me input on that too as I would like to commit that before our 2.79 release. As it's our production release and will definitely stay fresh a bit longer, I would really like to give add-on creates this functionality now. Thanks! Thomas Beck (plasmasolutions) created D2612: Implementation of custom python entries in all right click menus. 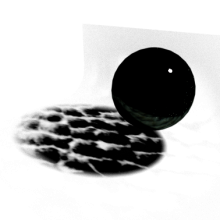 Thomas Beck (plasmasolutions) added a comment to D1788: Cycles: Experiment with shadow catcher. @Brecht Van Lommel (brecht) Yep, that was far too imprecise from me. What I meant was if the shadow could be optionally coloured by the bounce light from a coloured object when this object is near the catcher. 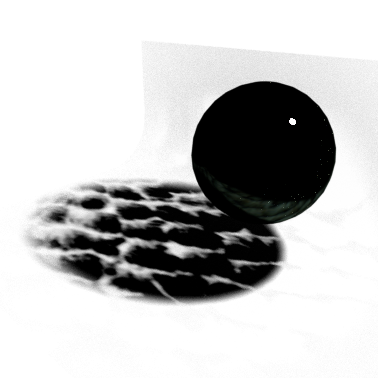 But that can be perfectly done with the Diffuse Indirect pass, so ignore that ... was too late apparently. tested it as well in many different ways: Different light types, one light, multiple lights, colored lights, no lights, no world, plain world lighting, >1 shadow catcher, ... everything seems to work as intended! Where would I need to change those definitions, and to what? I see an #ifdef Block in both kernel_path.h and kernel_path_branched.h, are those the files? In intern/cycles/kernel/kernel_types.h (search for "kernel features" and add it there). Thomas Beck (plasmasolutions) awarded D2150: GSoC 2016: Added PBVH based vertex and weight painting to Blender. a Love token. Thomas Beck (plasmasolutions) added a comment to D2445: GSoC 2016 - Bezier Curves Improvements. Just as a side note: We're using the ShadowCatcher patch in production for a few months now without any issues. Thomas Beck (plasmasolutions) awarded D2313: Cycles Disney BRDF a Love token. Thomas Beck (plasmasolutions) added a comment to T50336: The 'X' buttons on text fields. @Julian Eisel (Severin) any chance to tackle that quickly or even revert the commit you made that introduced it? It's not only cluttering the ui but makes so many places worse. Even the modifier names have X'es that reset the name to the standard name - it's simply useless. As I'm making 1000s of images now for my upcoming book I find myself constantly in GIMP erasing X es that should not be there. Thomas Beck (plasmasolutions) assigned T50410: Material user_id count does not update when joining objects to Bastien Montagne (mont29). Thomas Beck (plasmasolutions) created T50410: Material user_id count does not update when joining objects. Thomas Beck (plasmasolutions) committed rBfb6f42dc4f0d: OpenGL: draw NLA strip curves with new imm mode (authored by Thomas Beck (plasmasolutions)). Thomas Beck (plasmasolutions) committed rB1556a28108fe: OpenGL: draw filebrowser dropshadow with new imm mode (authored by Thomas Beck (plasmasolutions)). Thomas Beck (plasmasolutions) committed rBe636529e33a2: OpenGL: Draw dividers in space_file with the new immediate mode (authored by Thomas Beck (plasmasolutions)). Thomas Beck (plasmasolutions) retitled D2272: Convert UI_draw_roundbox_gl_mode to new immediate mode from to Convert UI_draw_roundbox_gl_mode to new immediate mode. Thomas Beck (plasmasolutions) committed rBcade262c4723: OpenGL render: Bugfix (unreported) after… (authored by Thomas Beck (plasmasolutions)). Thomas Beck (plasmasolutions) committed rB8a72ec80a0d7: Fix bplayer (c) after NDOF changes from merwin (authored by Thomas Beck (plasmasolutions)). Thomas Beck (plasmasolutions) triaged T48980: crash when loading a file that contains a custom node tree as Confirmed, Medium priority. Tested it on newest master running on an i7, 16gb ram, 2*gtx 560 ti oc 2GB on Linux64 - can confirm it. It crashes in 9 of 10 tries here. Does not crash on Blender 2.77a. Thomas Beck (plasmasolutions) committed rBde103497c45b: Fix bplayer (c) (authored by Thomas Beck (plasmasolutions)). Thomas Beck (plasmasolutions) added a comment to T48476: "Recalculate Bone Roll > Cursor" doesn't seem to work as expected. Campbell found the root of your issue, committed a fix and pushed it to master. When he pushed it with "Fix T..." , the system recognizes the reference and closes the issue. So compile Blender and test it or just wait for the buildbot build to be updated and test it there. Thomas Beck (plasmasolutions) committed rBdf8097ea2afc: Bendy Bones: Small ui tweak (authored by Thomas Beck (plasmasolutions)). Thomas Beck (plasmasolutions) added a comment to T48399: Auto refresh on movie files does not work on frame change (Cycles). Thomas Beck (plasmasolutions) created T48399: Auto refresh on movie files does not work on frame change (Cycles). Thomas Beck (plasmasolutions) updated D1968: Removal of the edit mesh "noise" operator. Thomas Beck (plasmasolutions) retitled D1968: Removal of the edit mesh "noise" operator from to Removal of the edit mesh "noise" operator. Thomas Beck (plasmasolutions) committed rB64c7306cdb61: Cycles: Insert util_texture.h in CMakeLists to make Cycles compile again… (authored by Thomas Beck (plasmasolutions)). Thomas Beck (plasmasolutions) added a comment to D1705: GPENCIL: Fix filling error for concave shapes. Thomas Beck (plasmasolutions) removed a reviewer for D542: Kursad`s Morph Target Modifier Patch: Thomas Beck (plasmasolutions). Thomas Beck (plasmasolutions) created T47951: UserId problem on reload. Thomas Beck (plasmasolutions) created T47931: Refresh on real time rendering missing when a texture coordinate node is used in conjunction with empties. Thomas Beck (plasmasolutions) awarded D1705: GPENCIL: Fix filling error for concave shapes a Love token. Thomas Beck (plasmasolutions) created T47865: Motion Blur on objects that follow a curved path fails if they move too fast. Thomas Beck (plasmasolutions) claimed T47743: User preference to support header default at top (for quick hack). Thomas Beck (plasmasolutions) added a comment to D1733: Smoke/volume visualization settings. this is definitely useful! Not only to visualize smoke (& its behaviour) in the viewport better but also because we render smoke oftentimes in the viewport and composit it over footage. The different visualization options are very helpful in this regard. Especially the "Axis / Single / Position" option is awesome for 2D scenes. What I didn't get yet was how to control the color ramp though. I could only make some single colored smoke (with various alpha values but no different colors)... will try to contact you in IRC - maybe it's just a dumb user error..
Thomas Beck (plasmasolutions) renamed T47517: "Show Weights" in Edit mode does not work in conjunction with a "Vertex Weight Proximity" Modifier from "Show Weights" in Edit mode does not work in conjunction with a "Vertex Weight Edit" Modifier to "Show Weights" in Edit mode does not work in conjunction with a "Vertex Weight Proximity" Modifier. Thomas Beck (plasmasolutions) created T47517: "Show Weights" in Edit mode does not work in conjunction with a "Vertex Weight Proximity" Modifier. Thomas Beck (plasmasolutions) awarded D1788: Cycles: Experiment with shadow catcher a Love token. Thomas Dinges (dingto) awarded rB1da4628c7477: Install_deps: Disable building tests for OSL a Like token. Thomas Beck (plasmasolutions) committed rB1da4628c7477: Install_deps: Disable building tests for OSL (authored by Thomas Beck (plasmasolutions)). Thomas Beck (plasmasolutions) updated subscribers of T47156: Crashes with white balance filter . writing from Sweden atm. - was urgently sent to a client last week as a programmer drone and therefore just saw your message. HDRs should indeed be able to go above 1.0, completely agree about the division by zero tough, that should be avoided! Do we have an internal division method that catches those cases or should I just do it manually (by never going beneath 0.00001 for every channel for example)? Thomas Beck (plasmasolutions) lowered the priority of T47156: Crashes with white balance filter from Normal to Needs Information from User. Thomas Beck (plasmasolutions) added a comment to T47156: Crashes with white balance filter .